Selecting application type is the first action that you should do for your project. You can find this settings on the very first page in EurekaLog project settings: General page. 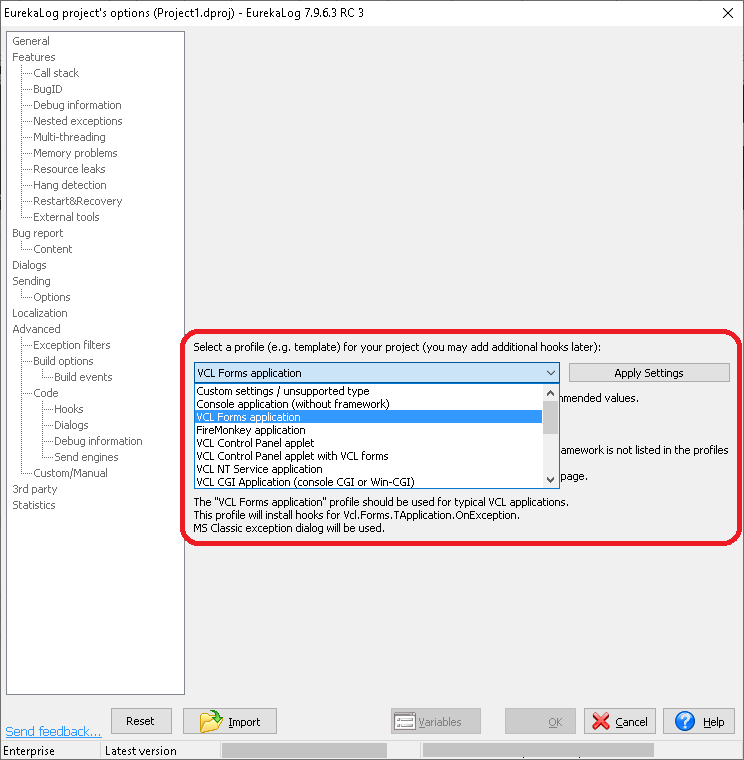 Once you enabled EurekaLog for your project, you need to expand the "Project type" combo box, then select a most-appropriated value for your project. This will changes your project settings for the selected type. Please, see Application types for more information about each available option.